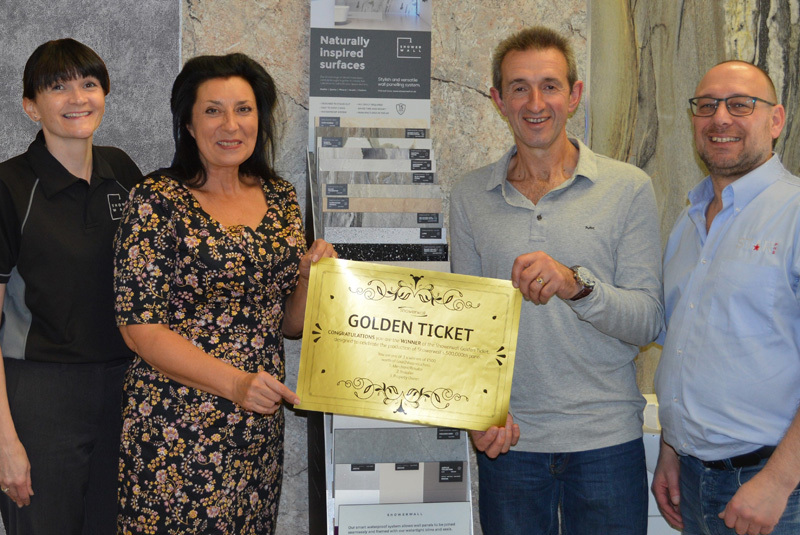 The ticket was discovered by George Boulton of Bristol-based G-Fix installations, while working on a bathroom refurbishment for property developer, Sally Major. Both have now received their £500 Love2Shop vouchers in addition to Rob Stargatt, Owner of Star Plumbing and Heating Supplies, who supplied the panels. The panel containing the Golden Ticket was placed randomly into stock in 2017.